Ellie Cohen is living her dream. A great job at an exclusive Mayfair art gallery, loyal mates, loving family, and really, really good hair. Well, there’s the famous rock-star father who refuses to acknowledge her and a succession of ‘challenging’ boyfriends, but nobody’s perfect. But when a vengeful ex sells Ellie out to the press, she suddenly finds herself fighting to keep her job, her reputation and her sanity. Then David Gold – handsome, charming but ruthlessly ambitious – is sent in to manage the media crisis . . . and Ellie. David thinks she’s a gold-digger and Ellie thinks he’s a shark in a Savile Row suit, so it’s just as well that falling in love is the last thing on their minds . 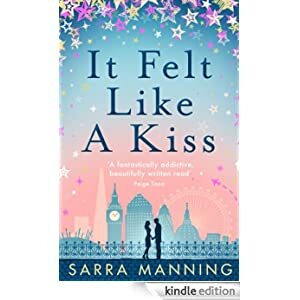 . .
Buy this romance for only 99p today.